Mohamed Abdihamid Farah is a convicted ISIS conspirator and would-be foreign fighter from Minnesota. On April 18, 2015, he was charged with conspiring to provide material support to the terror group.Mukhtar Ibrahim and Laura Yuen, “Informant’s role emerges as key in counterterror sweep,” MPR News, April 20, 2015, http://www.mprnews.org/story/2015/04/20/counterterror-informant. Following a 10-month federal investigation and subsequent arrest, Farah was transported to a Minnesota federal court. He pled not guilty to charges leveled against him on June 11, 2015.Ben Kesling, “Minnesota Terror Suspect Pleads Not Guilty,” Wall Street Journal, June 11, 2015, http://www.wsj.com/articles/family-of-minnesota-terror-suspect-allegedly-knew-of-plot-1434036863. Farah allegedly plotted his trip to Syria alongside eight Minnesota-based friends for nearly 10 months.“United States of America v. Abdirizak Mohamed Warsame,” U.S. District Court for the District of Minnesota, December 9, 2015, 4 – 6, http://kstp.com/kstpImages/repository/cs/files/WarsameComplaint.pdf; Laura Yuen, Mukhtar Ibrahim, and Sasha Aslanian, “Called to fight: Minnesota’s ISIS recruits,” Minnesota Public Radio News, March 25, 2015, http://www.mprnews.org/story/2015/03/25/minnesota-isis. According to U.S. Attorney Andrew M. Luger, “Even when [the] co-conspirators were caught and charged, they continued to seek new and creative ways to leave Minnesota to fight for a terror group.”“Americans Linked to ISIS,” CNN, updated April 23, 2015, http://www.cnn.com/interactive/2015/04/us/americans-isis/. The group of friends was reportedly inspired by their associate Abdiwali Nur, who traveled to Syria to fight with ISIS in May of 2014.Mukhtar Ibrahim and Laura Yuen, “Informant’s role emerges as key in counterterror sweep,” MPR News, April 20, 2015, http://www.mprnews.org/story/2015/04/20/counterterror-informant. A court affidavit reveals that Farah and Nur spent time together two days before Nur’s departure.United States of America v. Hamza Naj Ahmed et al., Affidavit in Support of Criminal Complaint and Arrest Warrants (D. Minn. 2015), http://www.justice.gov/sites/default/files/opa/press-releases/attachments/2015/04/20/farah_et_al_criminal_complaint.pdf.. Authorities now believe that Nur is dead.Laura Yuen, “3 of 9 Twin Cities men sentenced in ISIS conspiracy trial,” MPR News, November 14, 2016, https://www.mprnews.org/story/2016/11/14/first-day-of-sentencing-isis-trial. One alleged co-conspirator, Abdullahi Yusuf, recalled that Farah directed him to videos encouraging violence on behalf of Islam.Mukhtar Ibrahim and Lauren Yuen, “In court filings, ISIS recruit details path from Minnesota to Syria,” MPR News, June 11, 2015, http://www.mprnews.org/story/2015/06/11/mohamed-farah. In court filings, Yusuf also revealed that Farah assisted him in acquiring a passport in the spring of 2014 and provided him with phone numbers to call once he arrived in Syria.Amy Forliti, “Judge: Man accused of trying to go to Syria to remain held,” Seattle Times, June 11, 2015, http://www.seattletimes.com/nation-world/man-accused-of-trying-to-go-to-syria-to-remain-held/. In April 2015, Farah was arrested in California on a mission to purchase fake passports from an undercover FBI agent.Aamer Madhani, “3 Minneapolis men found guilty in plot to join ISIL,” USA Today, June 3, 2016, http://www.usatoday.com/story/news/2016/06/03/3-minneapolis-men-found-guilty-plot-join-isil/85355076/. Mohamed Farah’s mother, Ayan Farah, told reporters that she believed Mohamed and his younger brother, Adnan, were set up.“Minnesota Mother Shocked That 2 Sons Face Terror charges,” CBS Minnesota, April 22, 2015, http://minnesota.cbslocal.com/2015/04/22/agents-some-in-minnesota-lost-multiple-sons-to-extremists/. Court documents reveal that Ayan believed her sons were traveling to Chicago from Minneapolis, but wouldn’t allow her younger son, Adnan, to join.United States of America v. Hamza Naj Ahmed et al., Affidavit in Support of Criminal Complaint and Arrest Warrants (D. Minn. 2015), http://www.justice.gov/sites/default/files/opa/press-releases/attachments/2015/04/20/farah_et_al_criminal_complaint.pdf. Their father claimed the boys were brainwashed and entrapped.Mukhtar Ibrahim and Laura Yuen, “Informant’s role emerges as key in counterterror sweep,” MPR News, April 20, 2015, http://www.mprnews.org/story/2015/04/20/counterterror-informant. In early June of 2016, Farah was found guilty of conspiring to provide material support to a terrorist organization, as well as conspiring to commit murder overseas.Jack Healy and Matt Furber, “3 Somali-Americans Found Guilty of Trying to Join Islamic State,” New York Times, June 3, 2016, http://www.nytimes.com/2016/06/04/us/somali-americans-verdict-minneapolis-isis.html?_r=0. On November 16, 2016, U.S. District Judge Michael Davis sentenced Farah to 30 years in prison. Farah told the court that “the actions I have done are what a terrorist would do, but…I’m not a terrorist.”Douglas Ernst, “Minn. ISIS supporter receives 30-year prison sentence: ‘You and your cell lied’,” Washington Times, November 16, 2016, http://www.washingtontimes.com/news/2016/nov/16/mohamed-farah-minneapolis-isis-supporter-receives-/; “Somali-American Gets 30 Years in Prison for Plotting to Join Islamic State,” Voice of America, November 16, 2016, http://www.voanews.com/a/final-3-minnesotans-to-be-sentenced-in-islamic-state-case/3598324.html. Also at the sentencing, Judge Davis warned that “…there is jihadist cell in this [Somali] community [in Minnesota]. Its tentacles spread out.”Douglas Ernst, “Minn. ISIS supporter receives 30-year prison sentence: ‘You and your cell lied’,” Washington Times, November 16, 2016, http://www.washingtontimes.com/news/2016/nov/16/mohamed-farah-minneapolis-isis-supporter-receives-/. Farah’s younger brother Adnan Farah—also a defendant in the case—was sentenced to 10 years in prison after pleading guilty in April 2016.Douglas Ernst, “Minn. ISIS supporter receives 30-year prison sentence: ‘You and your cell lied’,” Washington Times, November 16, 2016, http://www.washingtontimes.com/news/2016/nov/16/mohamed-farah-minneapolis-isis-supporter-receives-/; “Somali-American Gets 30 Years in Prison for Plotting to Join Islamic State,” Voice of America, November 16, 2016, http://www.voanews.com/a/final-3-minnesotans-to-be-sentenced-in-islamic-state-case/3598324.html; “Minnesota man changes plea to guilty in Islamic State case,” Associated Press, April 14, 2016, http://bigstory.ap.org/article/84a67ff95d1e4c458c324fecf672013e/minnesota-man-pleads-guilty-islamic-state-case; Laura Yuen, “Third ISIS sentence of the day: 10 years,” MPR News, November 15, 2016, https://www.mprnews.org/story/2016/11/15/day-2-of-isis-trial. Mohamed Abdihamid Farah is a convicted ISIS conspirator and would-be foreign fighter from Minnesota. “The American identity is dead. Even if I get caught, I’m whatever… I’m through with America. Burn my ID.”United States of America v. Hamza Naj Ahmed et al., Affidavit in Support of Criminal Complaint and Arrest Warrants (D. Minn. 2015), http://www.justice.gov/sites/default/files/opa/press-releases/attachments/2015/04/20/farah_et_al_criminal_complaint.pdf. 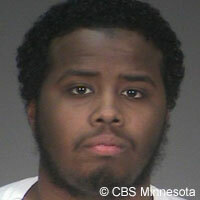 Farah told the informant he would kill FBI agents “if our backs are against the wall.”“Minnesota man linked to ISIS threatened to kill FBI agents, prosecutors say,” CBS News, May 22, 2015, http://www.cbsnews.com/news/minnesota-man-who-tried-to-join-isis-threatened-to-kill-fbi-agents-prosecutors-say/. “The American identity is dead. Even if I get caught, I’m whatever…I’m through with America. Burn my ID.”“Criminal Complaint,” United States District Court for the District of Minnesota, April 18, 2015, 25, http://online.wsj.com/public/resources/documents/2015_0420_Farah_complaint.pdf.